In this movie review you will NOT learn about character development, story arcs, plot lines or general cinematography in any way. You WILL learn about my on-going tinnitus, robot armies and my objectification of men. Don't worry there are no spoilers, if you have not already seen this film, because I couldn't tell you about any spoilers because I do not know what actually happened in this movie (or 'Talkie', as I call most modern movies). Just saw Avengers: Age of Ultron at the theatre yesterday and I have no clue what took place in this film. (See, I told you) The action scenes (i.e. the whole movie) were so loud and overwhelming that when it came to the sparse yet very important dialogue the viewer was left completely deaf. It was like watching an episode of the Peanuts during scenes in which the teacher would talk and it sounded like muffled nonsense. When my friends and I left the theatre I asked them what they thought about the movie. My friend Ashley replied, "I don't really know what happened because I couldn't make out what the characters were saying to each other. 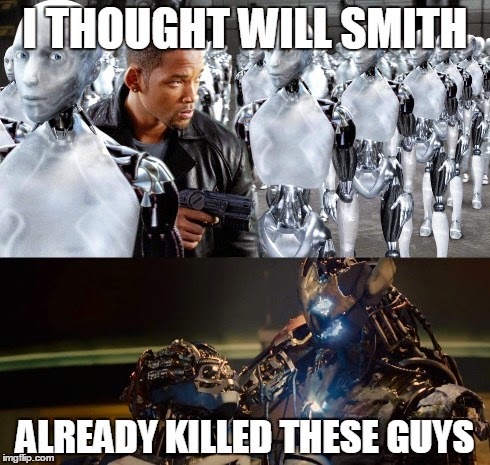 I just kept thinking, 'didn't Will Smith already kill all these guys?'. That's how lost I was.". 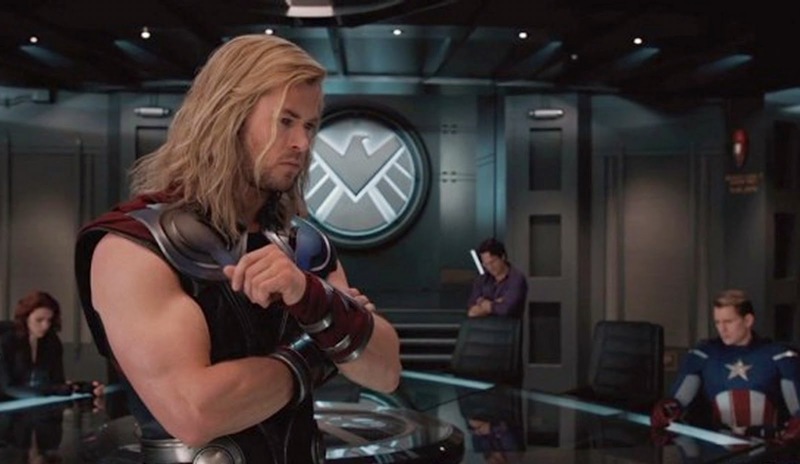 In retrospect, when you have a cast of men who look like Thor, Captain America and Iron Man...the words really just get in the way...of the muscles. Perhaps we should bring back the 'silent film'. Shh, don't talk, just flex.